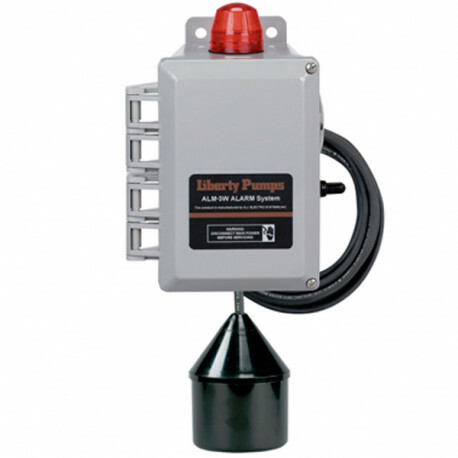 The Liberty Pumps ALM-2W is a waterproof, commercial outdoor alarm for sump, effluent and sewage pumps. This Liberty Pump part has a 20' float cord and a thermoplastic enclosure. The Liberty ALM-3W is Nema 4x rated and it includes auxiliary compacts.